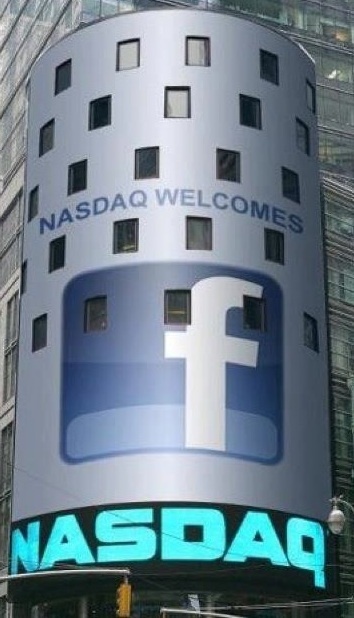 Trading has now begun on Facebook after a bit of a hiccup with NASDAQ, and while the numbers are nowhere near the heady heights of $70-$100 that some people were murmuring earlier, the $42.05 opening figure is still 10 percent higher than the $38-per-share price set by Facebook yesterday. At the time of this writing, it is trading a bit lower, at $40.32, which gives the company about a $111 billion valuation. 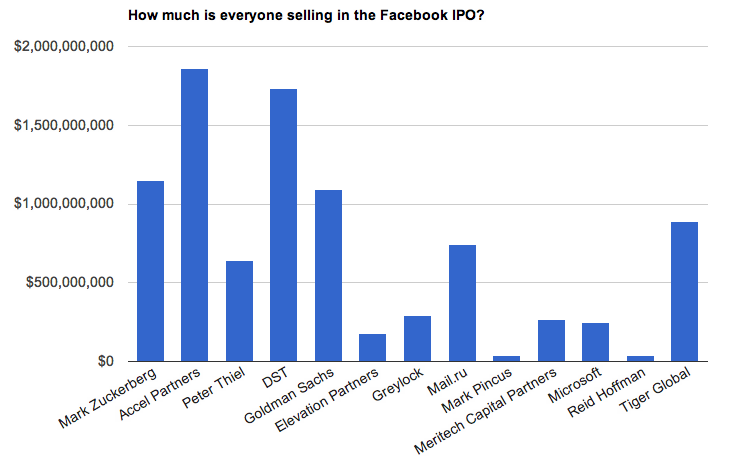 In Facebook’s S-1, the company listed how many shares main players were set to sell at listing time. 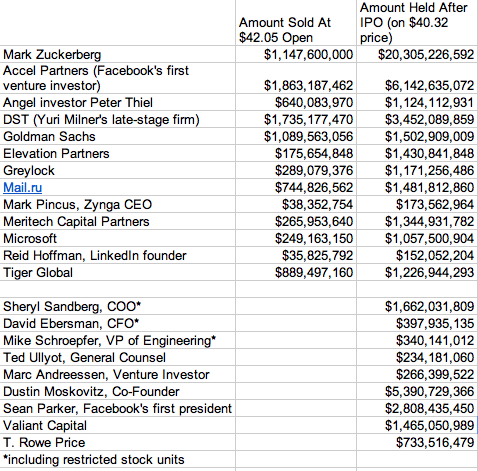 Based on the originally sale price of $38 and then Facebook’s current price at $40.32, here are how the values are coming out. Zuckerberg and early shareholders like Peter Thiel and Accel Partners sold shares in the offering, but other early employees like chief operating officer Sheryl Sandberg and co-founder Dustin Moskovitz held onto their current stakes in the company. They may have sold shares earlier in the private secondary markets or when DST invested in Facebook a few years ago, but we don’t know for sure. 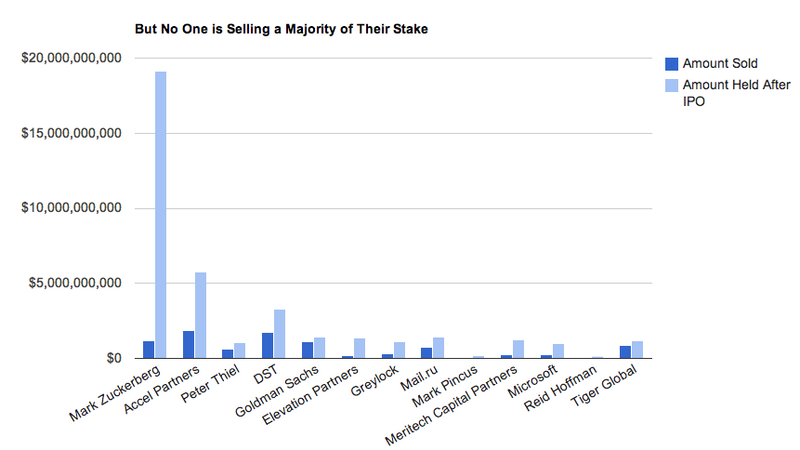 No one sold a majority of their holdings, as you can see below. We will update the value of the remaining shares for the shareholders above based on Facebook’s share price at the close of the market later today.